When it comes to finding a Court Reporting Service, you won't find a better deal than our Litigation Package. It's a standardized package that fits the majority of situations you'd find yourself when needing a Court Reporter. It covers all the basics of court reporting on top of also giving you useful things that will save you a significant amount of time. ASCII Disk A read-only storage medium of the transcript. For archival purposes or delivery to third-party court reporting agencies that have networked with us. You can make a printed copy from the ASCII disk as well. Electronic Copy The digital copy of the transcript that is far more convenient to use, on top of being more easily transported compared to a printed copy. Just like the ASCII disk, Printed copies can be made from the electronic copy. Condensed Transcript As the name implies it's a less paper-intensive version of the transcript. It contains four pages worth of the transcript on a single page in a smaller font that's still readable. Keyword Index An index of every word from the transcript and the corresponding pages that each word is found on. Allowing you to easily find an important portion of the transcript to be referenced. If video services have were purchased along with this, then the package covers that as well. In those cases the transcript is synced with the video timestamps, so you'll be able to review the witness's demeanor alongside their statement. 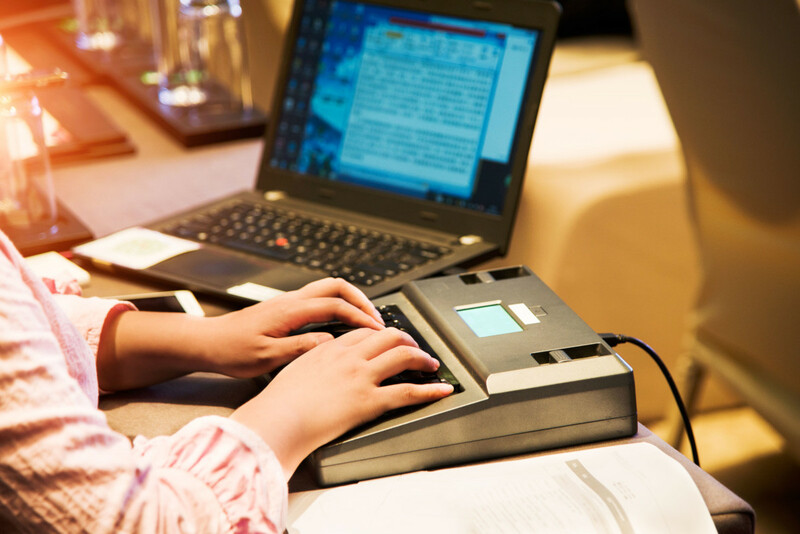 Get the package that makes your job easier, with Court Reporters Unlimited and our Litigation Package.